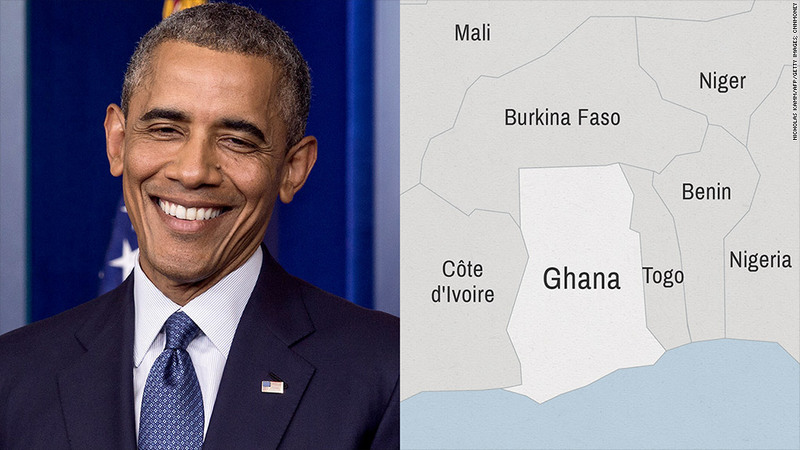 President Obama has been enthusiastic about Ghana's economy. Just over two years ago, it was President Obama's model African nation. Now Ghana is looking for a bailout. The small West African nation won many admirers for growing rapidly and reducing poverty. But the poster child for progress in Africa, hailed by Obama in March 2012 as a "wonderful success story," is now struggling. Growth is slowing, despite rising oil output. Government borrowing and inflation are rising, and the currency -- the cedi -- has lost about 40% of its value this year. President John Mahama said Ghana would be seeking the support of the International Monetary Fund as it tries to stabilize the currency and economy. The IMF has not received a formal request from Ghana for assistance, but said it is ready to work with the government on a support program. So why the dramatic reversal? Shilan Shah, African economist at Capital Economics, said Ghana has been spending too freely on public sector wages and subsidies, leading to a widening budget deficit. "Compounding the problems are recent allegations that the Bank of Ghana is attempting to finance the deficit by printing money, which has pushed up inflation to over 15% year-on-year," Shah wrote in a research note. Ghana's imports are also racing ahead of exports, draining the country's foreign currency reserves and piling pressure on the cedi. An IMF bailout would provide backstop funding while the government takes steps to get a better balance between spending and revenue, and in foreign trade. That's almost certain to mean tough austerity measures for a country where annual GDP per capita is still only $1,850. The IMF may also insist that interest rates -- already at 19% -- rise further to persuade people to spend less and contain inflation. Growth could slow to about 4% this year and next, down from 7% in 2013, as a consequence, said Capital Economics' Shah. Talk of a bailout comes less than a decade after $3 billion in debt was wiped off Ghana's books as part of an international relief initiative.